Very Nice, One Owner, AWD >> Rear View Camera, Bluetooth, Alloy Wheels << Only 21k Miles! 2016 Mazda CX-5 Sport AWD Rear Camera,Bluetooth,21k Miles! Trim:Sport AWD Rear Camera,Bluetooth,21k Miles! Like New, One Owner, Sport AWD, REAR VIEW CAMERA, BLUETOOTH, ALLOY WHEELS, Only 21k Miles, CARFAX / AUTOCHECK and STATE CERTIFIED with BUYBACK GUARANTEE, Automatic, Loaded w/ Power Options, STEERING AUDIO CONTROLS, MP3 SATELLITE COMPATIBLE, STILL UNDER FULLY TRANSFERABLE FACTORY DRIVETRAIN WARRANTY...The Mazda CX-5 is a very nice SUV, and when it first debuted, it won US News & World Report 2014 Best Compact SUV for families award. Nimble handling and responsive steering make the CX-5 a joy to drive, and its spacious interior and excellent fuel economy are appealing for families and commuters. The interior of the Mazda CX-5 features high-quality materials that are soft to the touch. The controls are accessible and easy to use, and every model comes with a USB port and push-button start. There's lots of room in both rows and the seats are comfortable. If you have car seats, there are three tether anchors and two sets of lower anchors in the back seat. Cargo space is typical for the class. One of the CX-5's standout qualities is its performance. This compact SUV is more agile than most, and its responsive steering and well-controlled suspension will add zing to your daily driving routine. It was named a Top Safety Pick+ by the Insurance Institute for Highway Safety. This is a very reliable, safe, great looking SUV, and this is a great price point for one with such low mileage. As with any other of our vehicles, you may have this one pre-inspected by your trusted mechanic prior to purchase. We strive to only keep high quality vehicles with low mileage offered at the most competitive price. We are a family run independent Dealership with over 30 years of experience serving families, and our low overhead translates to lower prices for our customers. Each of our pre-owned certified vehicles goes through a 108 point check and Virginia residents receive a brand new State Inspection. Visit us online at www.lynnhavenmotors.com to see more pictures of this vehicle, or call us at 757-425-9300 today to schedule your test drive. 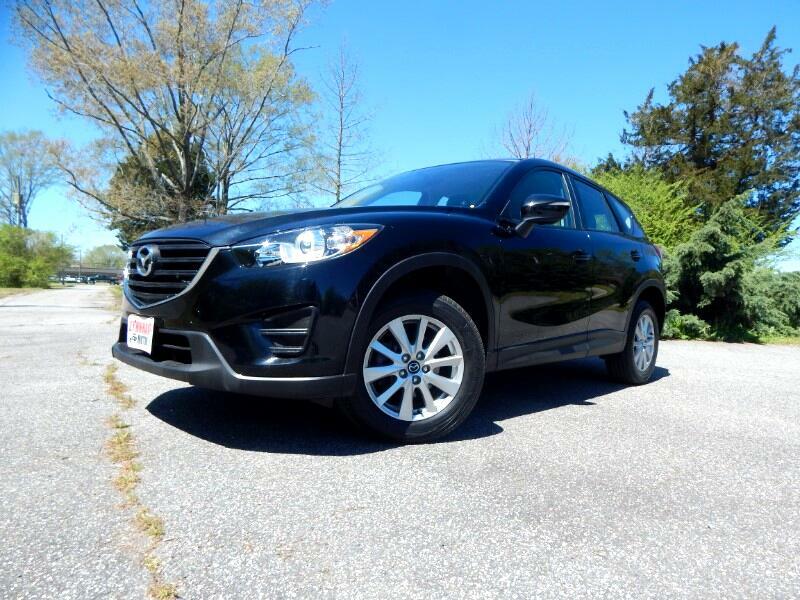 Vehicle Inquiry for 2016 Mazda CX-5 Sport AWD Rear Camera,Bluetooth,21k Miles! Trim: Sport AWD Rear Camera,Bluetooth,21k Miles!